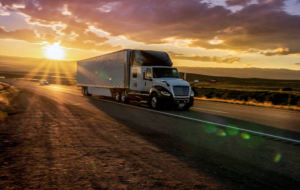 Before the FMCSA could start implementing measures to prevent truck accidents, it had to determine the most common causes of these collisions. In the Large Truck Crash Causation Study (LTCCS), researchers selected a nationally representative sample of the 120,000 tractor-trailer collisions that occurred between April 2001 and December 2003. Bad conditions or environmental factors. If you were hurt in a crash with an 18-wheeler but are not sure how to prove its underlying cause, turn to Charnas Law Firm. Attorney Scott Charnas is a seasoned personal injury lawyer who has an AV-Preeminent rating from Martindale Hubbell. Practicing in both Massachusetts and New York, Scott Charnas helps clients put their lives back in order after suffering a serious injury or death in the family. Call 212-980-6800 to schedule a free case evaluation with a truck accident attorney in Massachusetts. In the LTCCS, researchers identified four kinds of driver errors: non-performance, poor performance, faulty recognition, and misjudgment. Non-performance refers to scenarios in which the driver was physically unable to operate the vehicle while behind the wheel. Examples include falling asleep, having a heart attack, and suffering a seizure. Poor performance, on the other hand, refers to situations in which the driver failed to maintain control of the vehicle despite executing seemingly simple maneuvers. Drifting and then overcompensating and taking turns too wide are examples of poor performance. Faulty recognition is the result of distracted driving. Motorists who are not paying attention to their surroundings will not be able to recognize potential hazards in time to evade them. Errors in judgment can also cause devastating wrecks. For example, a commercial driver might drive too fast for the road conditions or fail to leave enough stopping distance between the truck and the vehicle in front. 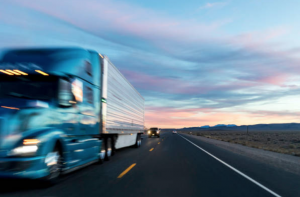 The LTCCS revealed that vehicle malfunctions are the second leading cause of large truck crashes. Examples include faulty brakes, bald tires, and shifting cargo. In these kinds of accidents, the motor carrier, trucker, manufacturer, or mechanic may be liable. Slick roads, heavy congestion, reduced visibility, and sharp turns can all contribute to truck accidents. In such scenarios, the trucker can be liable for failing to exercise adequate caution. Additional at-fault parties might include other motorists and the municipality responsible for maintaining the roads. If you were hurt in a truck accident, contact Charnas Law Firm. Attorney Scott Charnas will handle all the logistics of your case so you can focus on your health. Scott and his legal team can investigate your collision, gather evidence of liability and damages, and negotiate with the opposing party on your behalf. Call 212-980-6800 or fill out our Contact Form to schedule a free consultation with a personal injury attorney in Massachusetts.